I keep getting yelled at for calling breakfast brunch but that's not the point of this post. 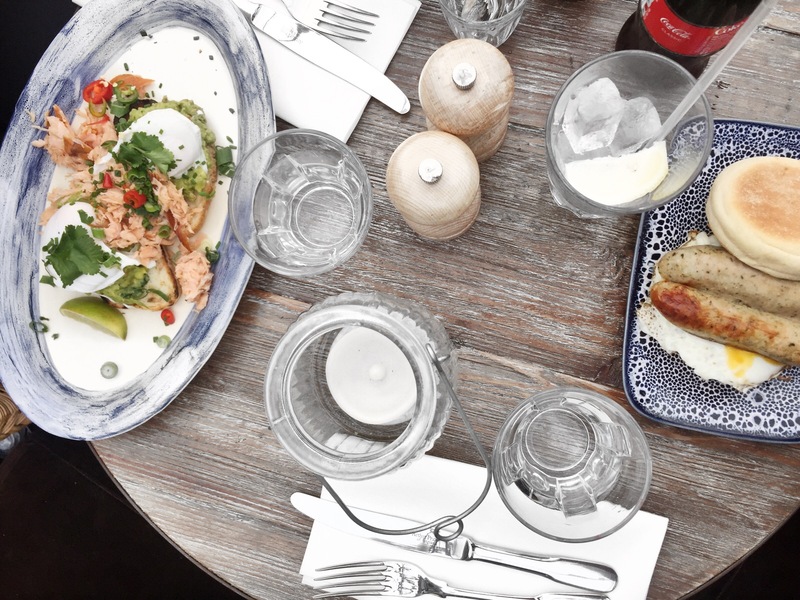 The point of this post is to draw your attention to a gem of a restaurant down by Tower Bridge. I've been and stayed at Tower Hill countless times and quite literally strolled past the Coppa Club without even realising. One of two things made us make reservations. One - we wanted somewhere close to our hotel so we'd have longer in bed - sorrynotsorry. 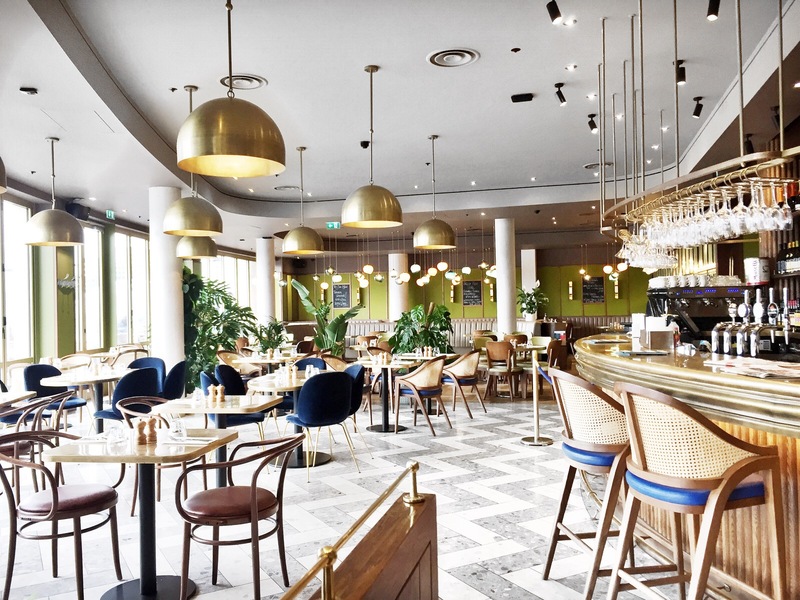 And two, Stylist Mag had run a feature on the place a few weeks back. 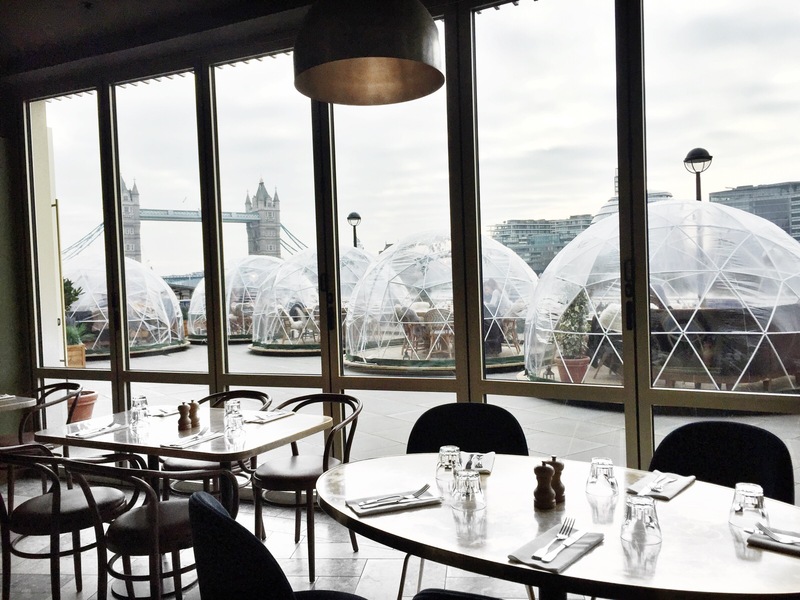 Oh, and because they had igloos to dine in outside, did I forget that bit? Now, as you can imagine, the igloos are popular. 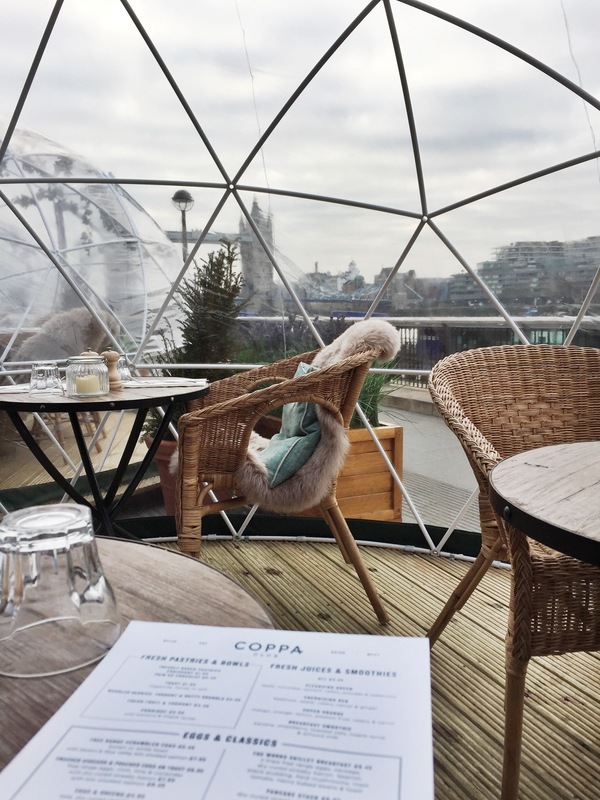 You'll struggle to find a slot free for one - but luckily, they do walk ins too, and luckily for us, as we were down on a normal weekday - an igloo was available, so of course we leapt in with a bloody big spring in our steps. They each come with different seating arrangements but all come with one thing: a killer view. To one side we had Tower Bridge and to the other, The Shard towering over. Not a bad place to eat breakfast huh? They're decorated so plush and cosy and you don't feel any draft = winning. I had a sausage and egg muffin - we'd had a heavy and late one the night previous, so I wanted all of the carbs. And I got them. The food was presented beautifully and tasted just as good as it looked. And despite what everyone says about London being more expensive - this place is not one of them, as I'd pay the same, if not more, for the same food in Manchester. 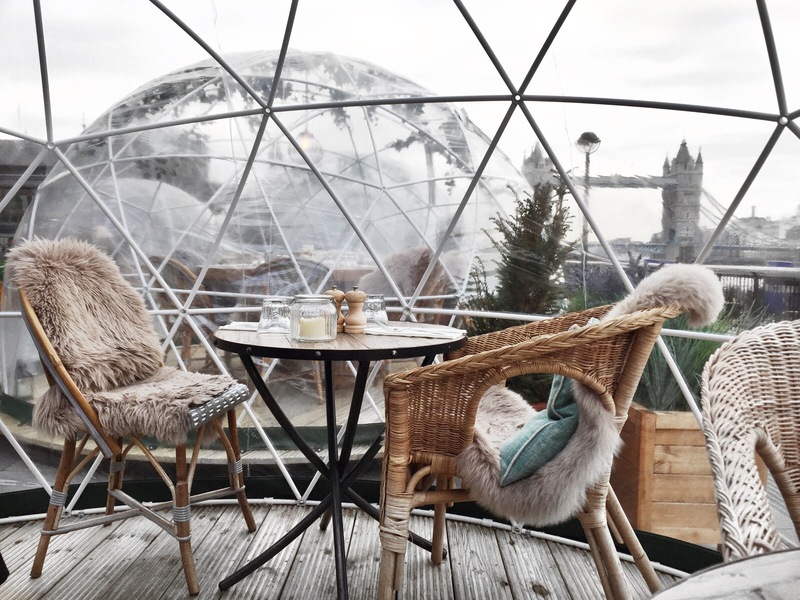 Sadly the igloos aren't a permanent fixture and will be coming down at the end of March so if you haven't been - go, go go, before they, well, go. I'm hoping to go back and have a few drinks at night because not only is this a cute and quirky idea, the view is something else.